VIOLENT AND AGGRESSIVE BEHAVIOR IMPROVED AFTER ONLY ONE WEEK!/LESS IRRITABILITY AND ANXIOUSNESS! The problems that brought us to Alternacare were Lory’s erratic and unpredictable behavior. She had violent outburst, aggression towards adults and other children and even to herself that was not provoked. She was always on an emotional roller-coaster. Before coming to Alternacare we had Lory was evaluated for developmental delays by one of the best child psychologist in the southeast. 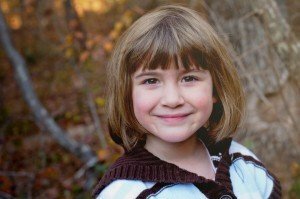 We were afraid she had autism or something close to that, but she did not present to be in the autism spectrum at all. Instead, she was diagnosed with “Destructive Behavior Disorder” which could mean anything the doctor informed us. She suggested if the behavior didn’t improve soon that we should take her to a psychiatrist and test for Bipolar Disorder. No methods of discipline or positive/negative reinforcement seem to work. This was affecting Lory in many negative ways. She felt terrible about herself, so ashamed. She would say she was a bad person or had a monster inside her that she couldn’t control. She had to be taken out of prekindergarten min-year as it became dangerous for the other children and teachers to be in the class room with her. Her behavior was just too much of a disturbance and she wasn’t learning anything. After receiving treatment at Alternacare we are happy to report all of Lory’s symptoms improved very quickly and she has had a successful year in Kindergarten! We learned what foods she was sensitive to, along with adding supplements and the emotional highs and lows showed improvement after only one week! She has greatly improved and less irritable and anxious! Thank you Alternacare.